With more and more food and drink festivals appearing each year it’s impossible to go to them all and the choice can be overwhelming. 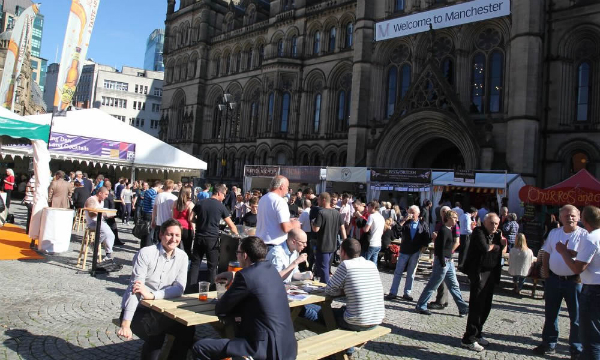 One of the best around is the Manchester Food and Drink Festival or MFDF. This modern festival has been running for over 17 years and now takes place across the whole of the city, in the centre as well as surrounding areas and it features a wide variety of events from gala dinners to street food, celebrity chef demonstrations to children’s food workshops along with popup pubs and bars. For me this is always the ultimate highlight; Albert Square is transformed into a popup food village, a boozy, foodie paradise. Think street food, wine and cocktail bars, craft beer, tasting experiences, producer markets and live demonstrations. Entertainment comes from an eclectic mix of local artists from reggae to jazz, choir to former Haçienda DJs. Street food is bigger than ever at the moment and this years Street Food Festival promises to be the best yet. With some of the cities best street food vendors such as Hip Hop Chip Shop, Mumma Schnitzel and Dirty Dogs being joined by established restaurants Red’s True Barbecue and Splendid Sausage. This year the hub also includes a ‘Malaysian Market’ where you can experience the flavours, sounds and smells of South-East Asia with live music, traditional dance and stalls selling Asian crafts, gifts and authentic Malaysian food including noodle and curry dishes. There are more than twice as many beers available on the bar this year along with a new ‘Festival of Beer’. 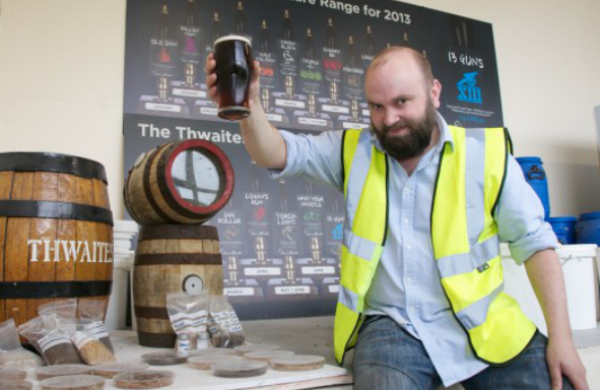 Hosted by brewery Thwaites, it features a tasting room, tasting sessions and food pairing suggestions. Seven different cask ales are on offer with interesting options such as: pineapple wheat beer, chipotle spiced ale and an intriguing Festival Ale created by local supper club supremo Iain Devine aka The Drunken Butcher which is inspired by traditional Manchester malt loaf Soreen! Continuing the beer theme, some lucky person was given the job of selecting the top 100 beers from the local area. Hand picked from breweries such as Marble in Manchester and Bank Top from nearby Bolton they’ll all be available to try throughout the festival. Not the most obvious combination perhaps but both fabulously indulgent products that deserve celebrating. Particularly when we have some of the countries best producers in our region. Local makers and traders will be showcasing the very best produce for you to sample. Former Manchester United footballer Gary Neville is set to open a unique hotel opposite Old Trafford later in the year. During the festival he’ll be taking part in a live cook-off with the hotel’s executive chef. Find a deal for things to do in Manchester. Shaun is a self-confessed food geek. He thinks about food most of the day and may be addicted to dining out. In the couple of years that he’s been writing about his experiences he’s reviewed over 150 restaurants, the majority of which are in Manchester and the North West area. But his ever growing list of places to visit is just as long.